"It always good to stay in this hotel the price is ok and fac..."
Have a question for Grande Centre Point Hotel Terminal 21? "Their location is very convenient that your travelling easy." 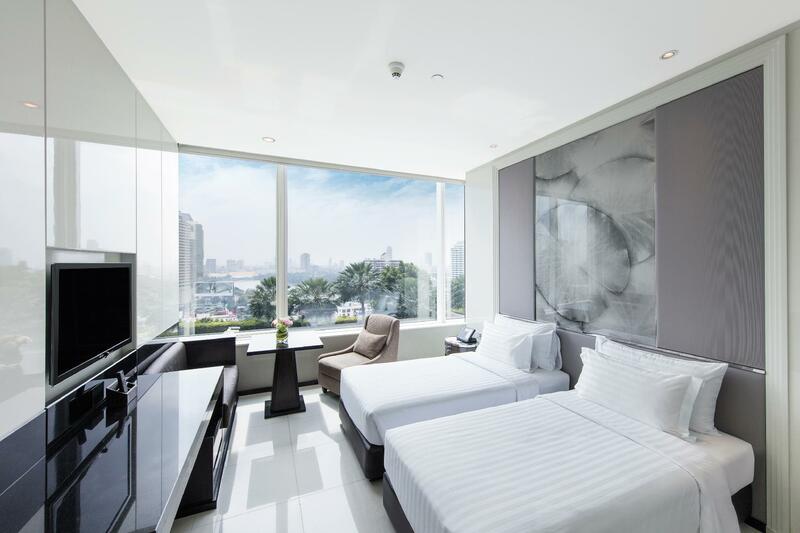 "Very near to asok mrt and terminal 21 mall so it was super convenient." "Environment was super clean and guards were friendly." 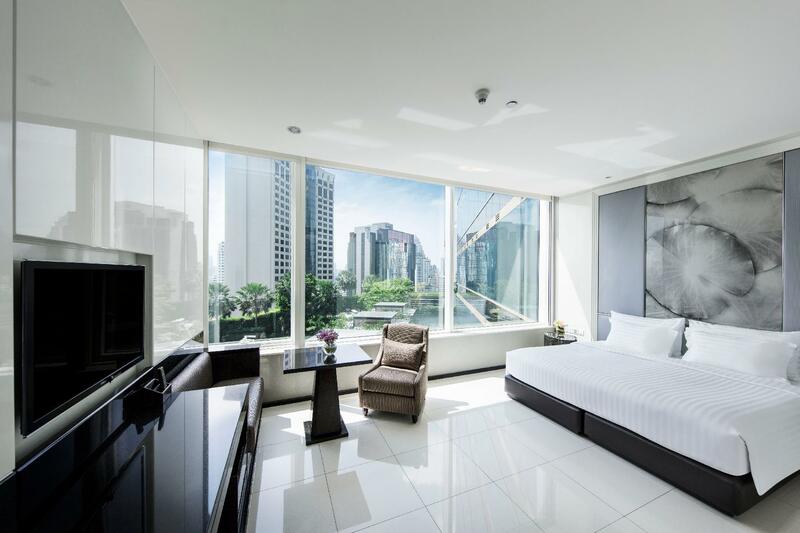 Grande Centre Point Hotel Terminal 21, located in Sukhumvit, Bangkok, is a popular choice for travelers. With its location just 0 km from the city center and 50 km from the airport, this 5-star hotel attracts numerous travelers each year. This modern hotel is in the vicinity of popular city attractions such as Mandalay Magic Tailors, Terminal 21 Shopping Mall, British Custom Tailors. 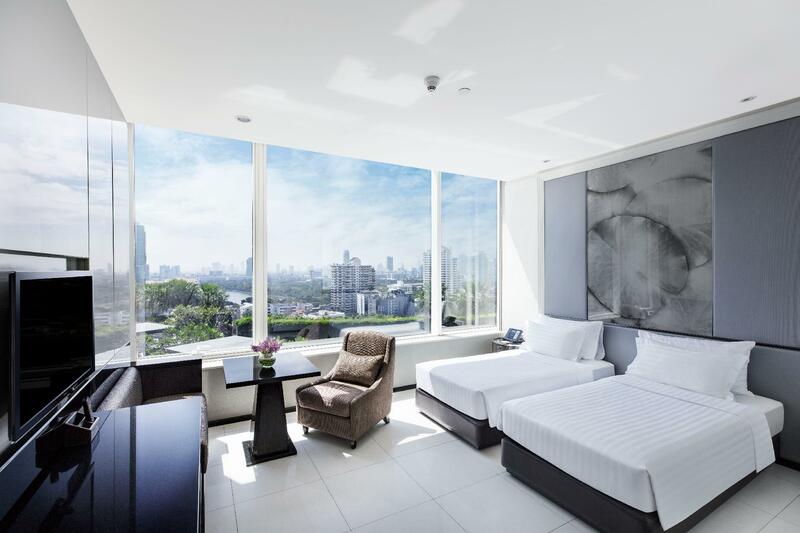 Take advantage of a wealth of unrivaled services and amenities at this Bangkok hotel. To name a few of the hotel's facilities, there are 24-hour room service, free Wi-Fi in all rooms, 24-hour security, daily housekeeping, taxi service. 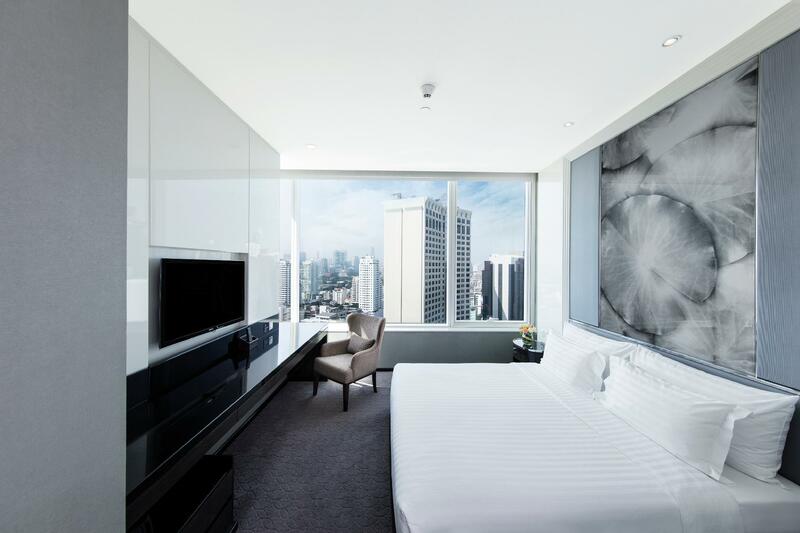 The ambiance of Grande Centre Point Hotel Terminal 21 is reflected in every guestroom. television LCD/plasma screen, complimentary instant coffee, complimentary tea, linens, mirror are just some of the facilities that can be found throughout the property. The hotel offers fantastic facilities, including hot tub, fitness center, sauna, outdoor pool, spa, to help you unwind after an action-packed day in the city. Discover an engaging blend of professional service and a wide array of features at Grande Centre Point Hotel Terminal 21. "Great location, good room with excellent bathroom." Please note that there is an additional breakfast charge per child per night for child at the age of 4-11 sharing bed with parents. The charge is 50% discount off adult price. Children 4-11 years old will be charged THB 300 when using existing bedding. 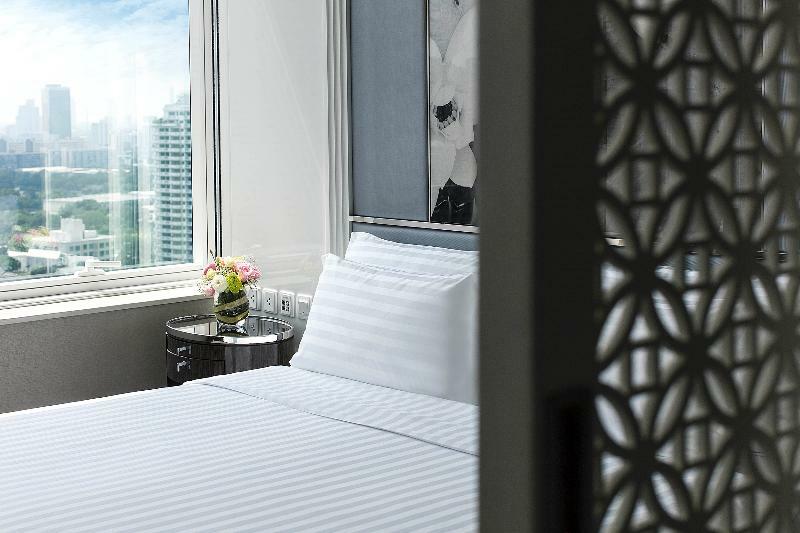 Extra bed is available at an additional charge for Grand Deluxe and Grand Suite room types only. It was very near BTS and shopping mall. The bell boys were good and helped me to handle luggage. Also, drinks at the lobby were good and free snack was in the room and the buffet breakfast was good. The facilities was not new but the toilet was good. I forgot to take my trouser in the wardrobe and the hotel lost and found emailed to me the day after. It was good service. But the price was expensive. terminal 21 mall is just beside the hotel, so shopping is made easy. 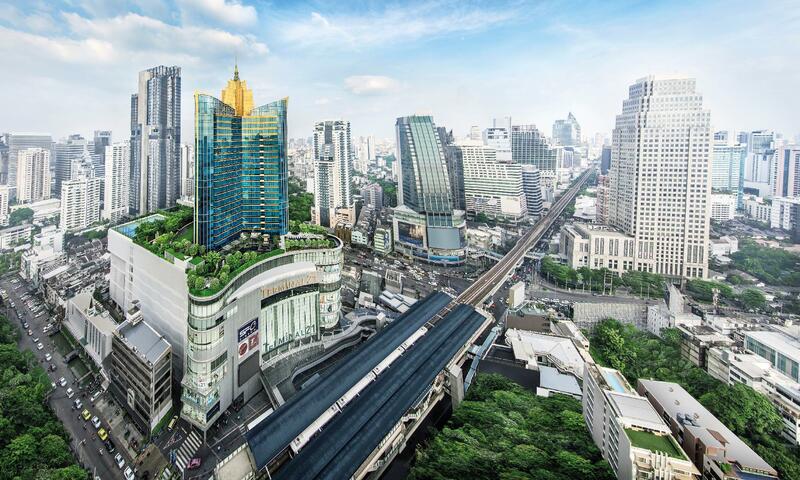 it has an access with asoke skytrain. off course it is in sukhumvit area . . . food, massage and nightlife is almost around the corner. Terminal 21 has a brilliant location with direct access to the BTS and the shopping complex and other shops nearby. The underground is also close by. The wifi is very good and the hotel is spotless. The downside is there is no mini bar in the room, there is no bar in the hotel are other eating outlets. The hotel is located at Terminal 21, and just nearby the rail stations that is very convenient to travel around and for shopping. But, the WiFi connection in the room is very poor and not very stable, even though is connected with WiFi signal on the phone, it still can’t send any WhatsApp messages. Location is beyond compare- a couple minutes' walk is the mall with great dining options and shops. And the BTS train? is a hop and skip away. SUPER convenient. The staff are nice and helpful, too! It's now my hotel of choice when in Bangkok. We had two back-to-back bookings in this hotel for three consecutive nights in total. One booking is Deluxe and the other one is Grand Deluxe. The check-in staff so kindly comply to upgrade the first booking to Grand Deluxe so we did not have to change room. We highly appreciate that. Our Grande Deluxe room was just superb - clean, spacious, nice big windows with a view of the city, a kitchenette, full-size fridge, and a washing machine (detergent provided too!). As others had already pointed out, this hotel is just so convenient. Lots of restaurants in Terminal 21 next door. By the way, please try out the food court in T21 - prices are extremely fair and you have lots of choices for quality food. This is my second stay at this hotel and they do not disappoint. A wonderful property and a very nice stay. Whilst the front office staff were not as friendly as previous experiences, the other service staff (in particular housekeeping and hospitality staff) were wonderful as always. The main plus is the location of the hotel (direct access to terminal 21 and BTS). Room was also comfortable, spacious and well maintained. The only negative feedback (other than the slightly chilly front desk staff reception) is the "complimentary" mini-bar (in addition to the usual bottled water tea/coffee provided). Better to not call it a complimentary minibar when it consists of just 2 cans of beverage and 3 packs of crisps/nuts (which were not replenished when consumed) - better to just not have it, or charge for the items. I’ve stayed in more expensive hotels but only a few of them r cleaner than this hotel. I’m actually thinking it might be because Buddhist people really practice cleanliness is next to godliness thing , the cleaning staff actually do not wear shoes as they go around from room to room. Location is the next bonus too. This hotel is linked to a mall and train station so that’s one less trouble when travelling. We loved this hotel. From the minute we walked in we were greeted warmly by the hotel staff. We had a room on the 28th floor with amazing views of the city. This hotel is in pristine condition, very clean and very nice! The room had a mini kitchen and washer and dryer. All the ammeneties you could need. It was connected to the Terminao 21 mall and BTS for easy transit around Bangkok. We will definitely be staying here on our next visit! 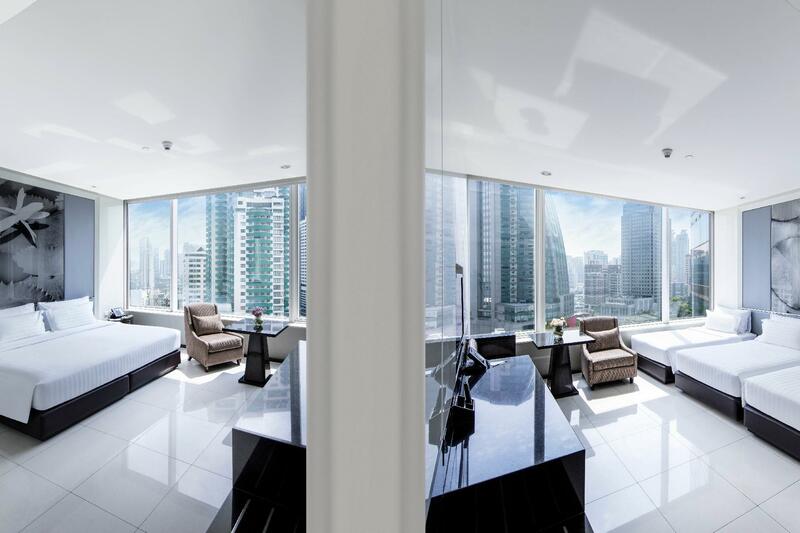 Great location for all places in the Ploenchit-Sukhumwit corridor and for reaching any locations on he BTS or MRT lines. Large variety of food and shops in adjacent Terminal 21. Staff are all very friendly and helpful. Breakfast is great, but can get crowded between 7:30 and 9:00 am. Rooms are spacious and well appointed. The location is super convenience with direct access to “let’s relax” from the hotel. The location of the hotel is really convenient if you plan to take public transport. However, if you take a taxi or hire a car, just be aware that there's a lot traffic in the area. The quality of service is hit and miss. While there were a couple of really friendly concierge who offered good suggestions, often the services provided by the front desk and other staff in the hotel are mediocre bordering unhelpful. 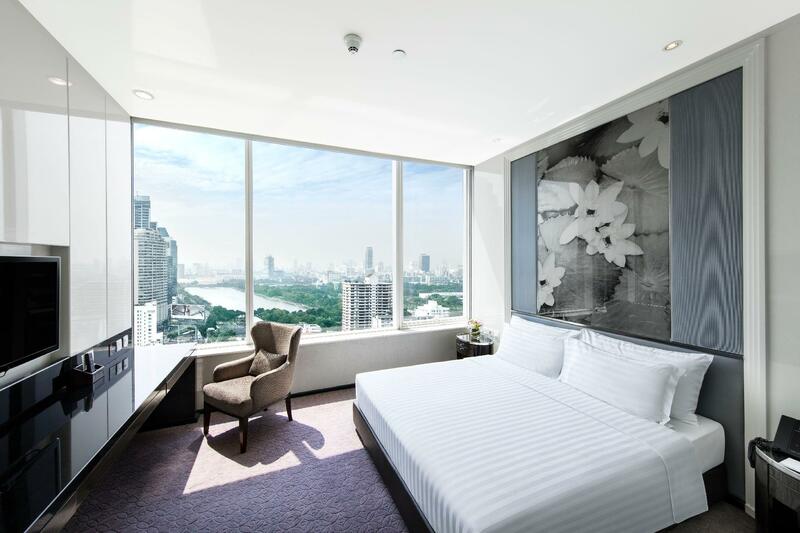 In general, the services are just not on par with the other 5 star hotels that I have tried in Bangkok with similar prices, such as the Peninsula, Four Seasons and Marriott Queen's Park. It was the fourth time staying at your hotel, I remember. Staffs were very quick with solving the problems, I want to book again when I visit Bangkok. Thank you. 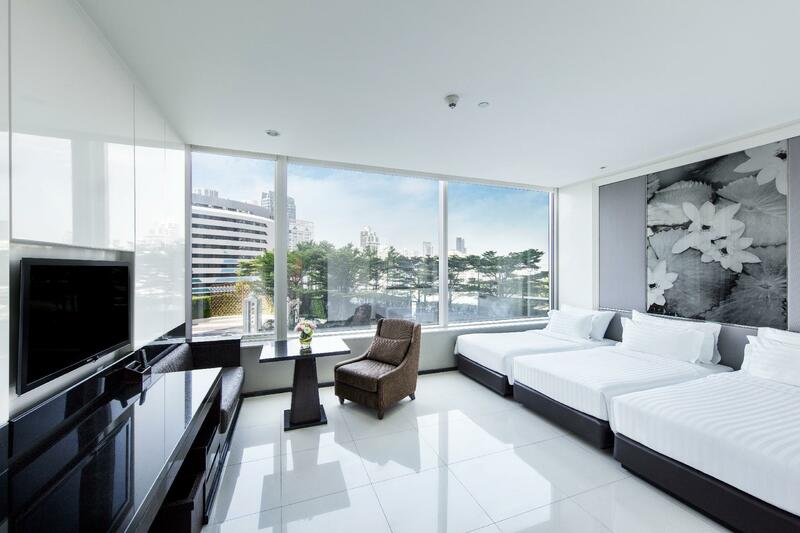 This hotel is located extremely near from BTS Asok station and MRT Sukhumvit station. And next to Terminal 21 shopping mall. What should be noted is you can go to Let's Relax Spa from this hotel directly from 6th floor, of course you can make a reservation from the telephone in your room directly. The room is so simple, so anyone may feel it unsatisfactory because you are traveling Thailand. It doesn't matter to the hotel, what is recommended most here in Bangkok for traveler is to issue the BTS prepaid card. Hotel is situated right beside Asoke BTS / Sukhumvit MRT. Hence it was easy to get around to various places. Easily accessible from Suvarnabhumi airport via the Airport link. The hotel room is huge albeit there's no carpet but overall is clean and good. Comes with fridge, freezer and microwave. Complimentary mini bar with 4 bottles of water which is very conveneint for a hot weather in BKK. Linked to Terminal 21 shopping mall, within walking distance to Health Land, Lek Massage and many other restaurants. I felt the room rates were slightly pricier than some of other hotels at Siam/Chitlom area but the good location compensated for it. Overall good experience. This is the 3rd time i stay in this hotel. i like the location and good easy transportation transit for this hotel. Service and others are always good. The only thing is the breakfast seems never change... it seems always the same for all 3 times that i visit, in which it have been quite a long time already. Choice of breakfast is not much.